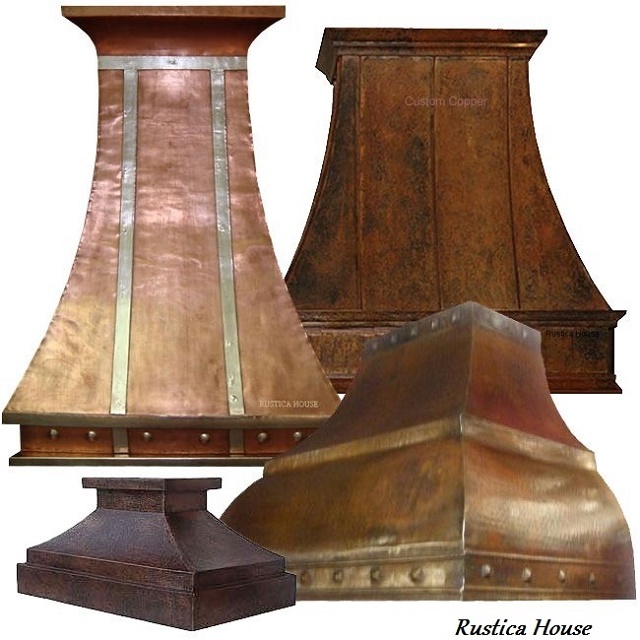 Click the button below to add the Copper Range Hood '0122' to your wish list. Presenting 30" copper range hood with natural rustic finish. This range hood is available in wall or island version for a wholesale price. Shown on the image '0122' kitchen appliance was made as 30" wide but it can be also purchased in other dimensions. Select its height and width from the options as well as copper color finish. You can order it with our 250CFM insert included or customized for your own. Use Note window to specify your system brand and number so the range hood can be made ready for its easy installation once delivered. Please follow our guidelines when selecting the right equipment insert guide. As it is indicated on the page, 30" copper range hood should be using 24" linear etc.